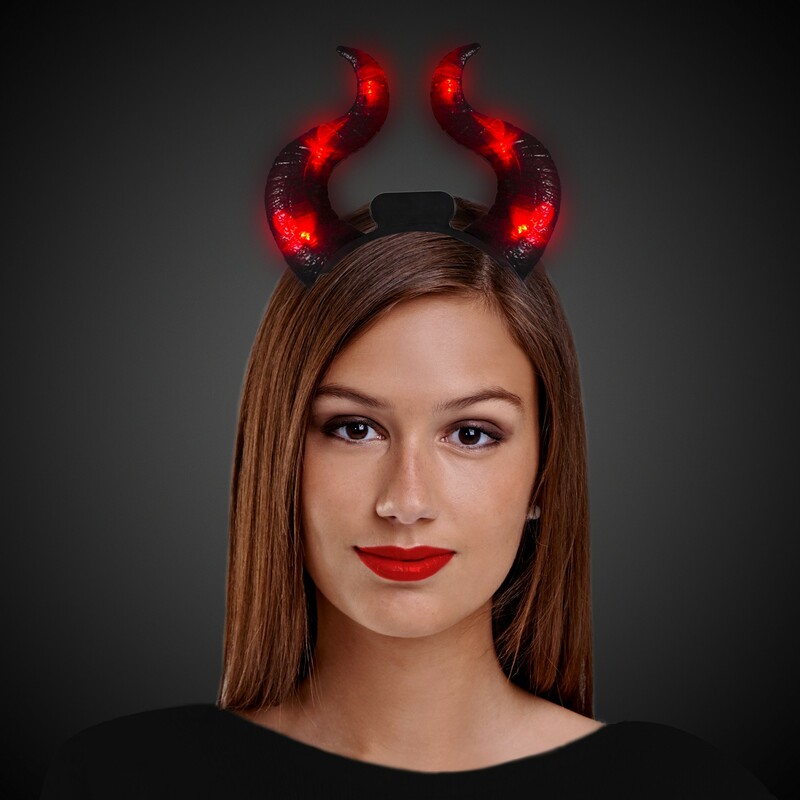 Light your the devil in you for your Halloween costume with our 10" LED Devil Horn Headbopper . 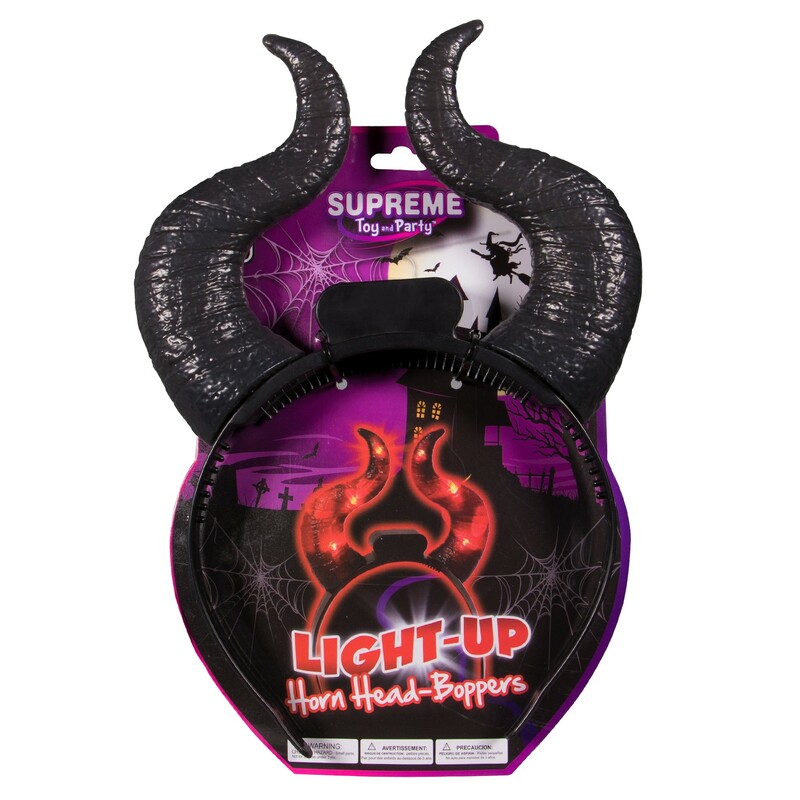 Each horn features bright red LED lights encased in smokey black plastic to create a spooky effect. 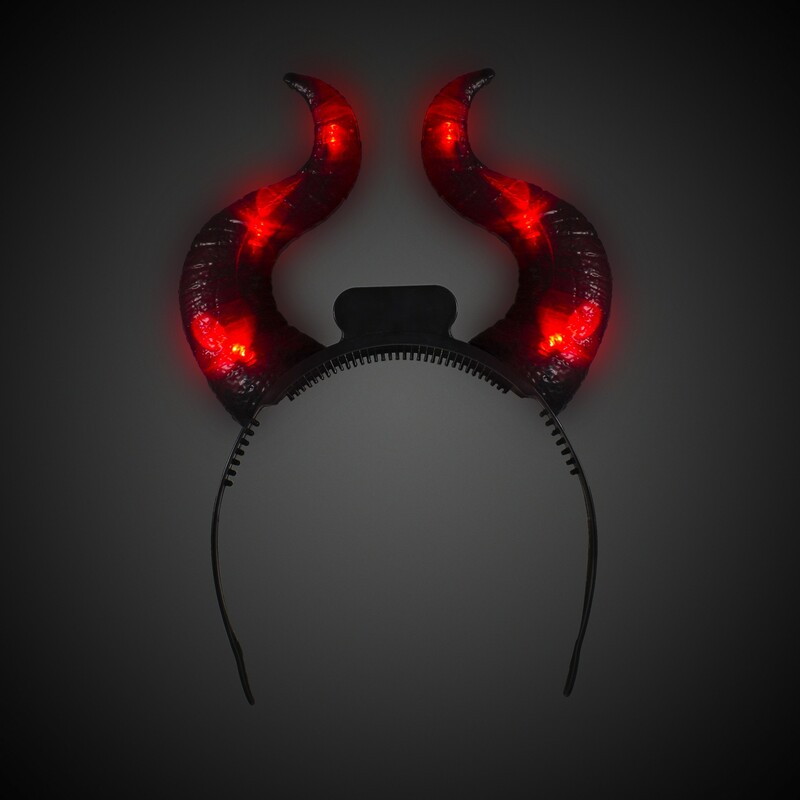 Our LED Devil Horn Headbopper measure 10" high x 7" wide x 1.5" thick. With the push of a button, you can change the bright red LED's from fast flash to slow flash to steady on. 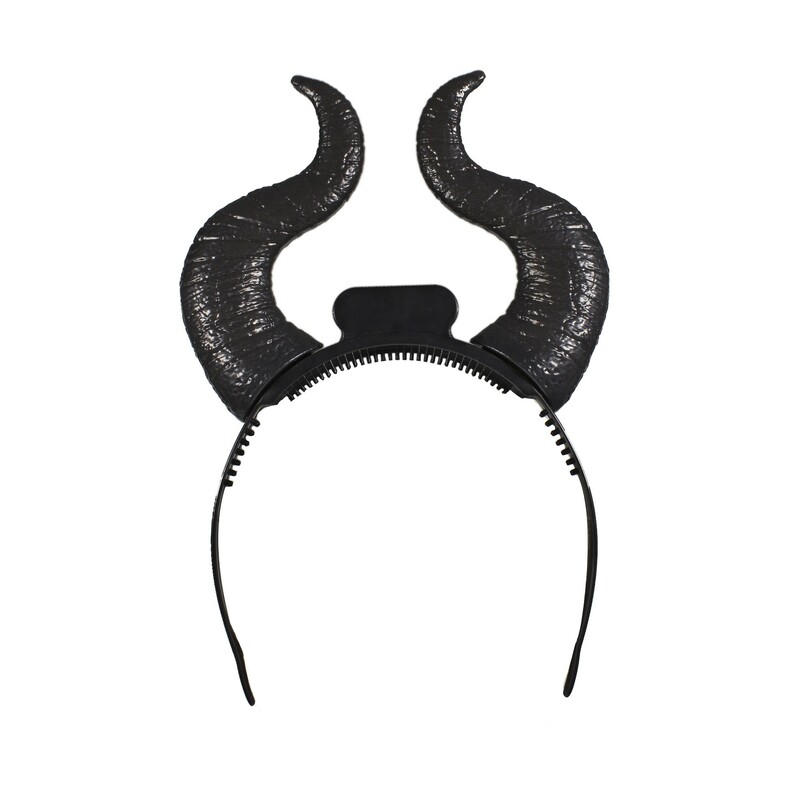 Let everyone know that you're not the angel they think you are as you give these away as a party favor, a loot prize, or to complete your Halloween outfit. Each is powered by 3 replaceable AG13 batteries, included and installed. Sorry, not imprintable.